The Rosenbach’s 1860s townhouse and garden provide an intimate setting for the brothers’ collections of rare books, manuscripts, furniture, silver, paintings, prints, drawings, and sculpture. The house is located in the heart of the Rittenhouse-Fitler historic district in Center City Philadelphia. Museum visitors enjoy regular exhibitions drawn from the Rosenbach’s impressive holdings. Selections from some of the best-known collections are always on view, including James Joyce’s manuscript for Ulysses and the papers of Modernist poet Marianne Moore. In the years since its founding, the Rosenbach collections have continued to grow. The decorative and ﬁne arts collections are rich and varied, ranging from Egyptian sculpture and English furniture to American portraiture. 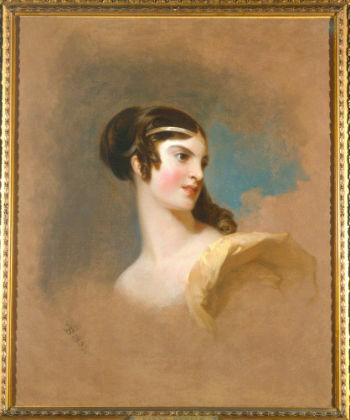 Highlights of these collections include a ﬁne mid-18th century Philadelphia tall chest, silver by Hester Bateman and Myer Myers, a portrait by painter Thomas Sully of 19th century civic leader Rebecca Gratz, and the largest collection of oil-on-metal portrait miniatures in the United States. The Rosenbach preserves a nearly unparalleled rare book and manuscript collection, with particular strength in American and British literature and history. Exhibitions, programs, and research with this collection have focused on Colonial American history, African American history, children’s literature, book arts and technology, gay and lesbian literature, early Modernism, and much more. Samuel Yellin: a pair of elaborate grillwork doors; over a dozen drawings. Additionally, the Rosenbach has a long and important relationship with the modernist poet Marianne Moore (1887-1972). In the late 1960s, the museum purchased from Moore virtually all of her manuscripts and correspondence. When she bequeathed her personal belongings to the Rosenbach, the living room of her Greenwich Village apartment was recreated in the museum as a permanent installation. 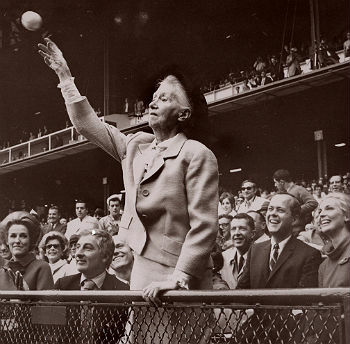 The Marianne Moore papers and living room have earned the Rosenbach designation as a National Literary Landmark by Friends of Libraries, USA. The Rosenbach is an internationally known destination for lovers of literature, art, and history. Permanent installations, special exhibitions, outreach programs, and individualized research appointments work to bring the Rosenbach brothers’ vision to new and broader audiences every day. 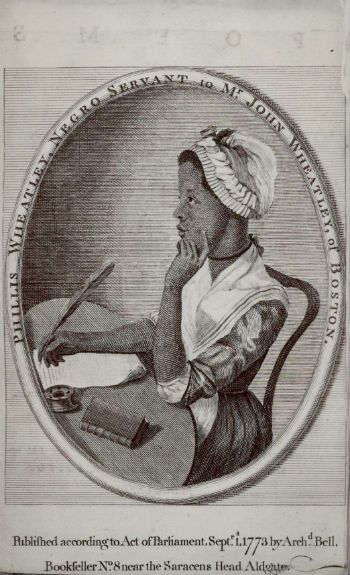 American literature includes ﬁrst editions of Anne Bradstreet, Phillis Wheatley, and Nathaniel Hawthorne, presentation copies of books by Herman Melville housed in a bookcase that once belonged to him; 19th-century dime novels; and ﬁrst editions and letters of Emily Dickinson and Christopher Morley. The single largest collection, that of the poet Marianne Moore, encompasses her personal and literary papers, including correspondence with contemporaries such as Ezra Pound, T.S. Eliot, H.D., William Carlos Williams, Elizabeth Bishop, and Langston Hughes; as well as her working library, which spans a wide range of subjects, including literature, religion, art history, natural history, and sports. One of the greatest strengths of the Rosenbach’s library is Americana. The central topics of these collections are the European exploration and settlement of the New World and the political and military history of the United States from the ﬁrst settlements through the Civil War. 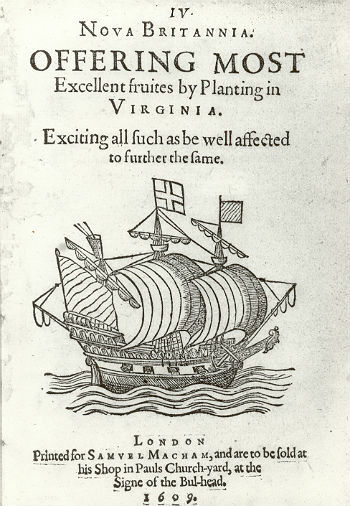 These histories are told in books and documents such as explorers’ and travelers’ descriptions of the land and its peoples; maps; broadsides; newspapers; scriptures, liturgical, and devotional works for the use of Christian missionaries and converts—many in Native American languages; Indian treaties and captivity narratives; and collections of legal and church documents from the Oregon Territory and colonial Mexico and Peru. 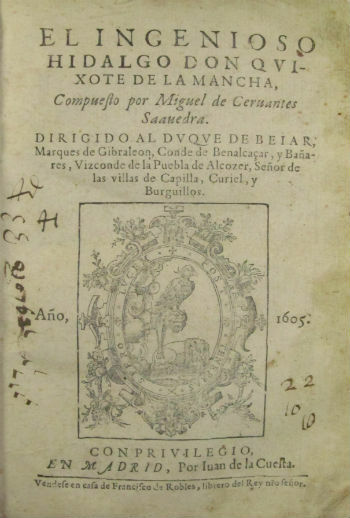 Chief among these holdings is a group of Cervantes’s works, including the ﬁrst edition of Don Quixote, Dr. Rosenbach’s favorite book, and documents in Cervantes’s hand. The Continental Literature collection also includes a complete, 56-volume copy of George Louis Leclerc, Comte de Buffon’s Histoire naturelle, générale et particuliére with 2,978 plates; a presentation copy of Erasmus’s Novum Testamentum (1519) with woodcuts by Hans Holbein; and small but signiﬁcant holdings in French literature, ranging from an illuminated manuscript of Guillaume de Deguilleville’s Trois pélerinages (1437) to manuscripts of Emile Zola and Anatole France and the rare second edition of Jean Cocteau’s Le Livre Blanc, illustrated by Cocteau and including one of his original drawings. The largest portion of the literary collections is English literature of the British Isles, including Scotland, Ireland, and Wales. 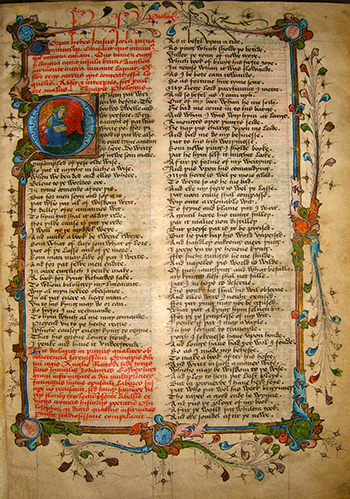 Among the most signiﬁcant holdings are two 15th-century manuscripts of Chaucer’s Canterbury Tales; an important group of 16th-and 17th-century poetical commonplace books; more than 450 books and pamphlets by Daniel Defoe, including the rare ﬁrst edition of Robinson Crusoe; the largest extant collection of Robert Burns’s letters, manuscripts, and early editions; one of the world’s most important Lewis Carroll collections, including more than 600 of his letters, his early drawings, his own copy of the very rare ﬁrst edition of Alice in Wonderland, and his rarest photographs; Bram Stoker’s autograph notes and outlines for Dracula; the manuscripts of two-thirds of Joseph Conrad’s literary works, including Lord Jim, and 60 letters in his hand;works of James Joyce and Irish authors. The Rosenbach’s collection of paintings includes important American portraits by Gilbert Stuart, Thomas Sully, Bass Otis, Matthew Jouett, and John Wesley Jarvis; and European genre paintings including those attributed to Angelica Kauffman and the American expatriate Benjamin West. Many paintings are installed in the historic house where Rosenbach family portraits and travel souvenirs by artists of the school of Caneletto lend a personal quality to the collection. The furniture in the collections range from the 16th to the 20th century and include examples of British, American, and Continental origin. Among the highlights are an eighteenth-century Philadelphia high chest, an elaborate French orbital clock by Jean Baptiste Baillon, and a massive sixteenth-century refectory table. Although many pieces are associated with known makers, this is an area in the collections that requires further research. James Joyce (1882-1941) has been called the greatest 20th-century novelist writing in English. Ulysses is his masterpiece. 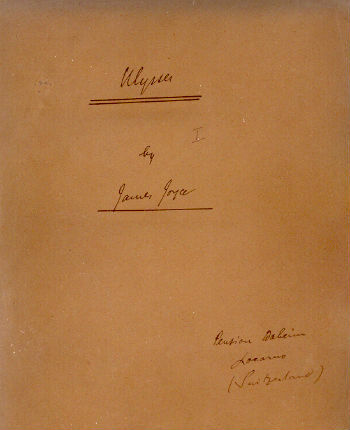 The manuscript of Ulysses is among the premier treasures of the Rosenbach. Dr. Rosenbach owned a ﬁrst edition of the novel – the banned book had been smuggled into the country for him in 1922. 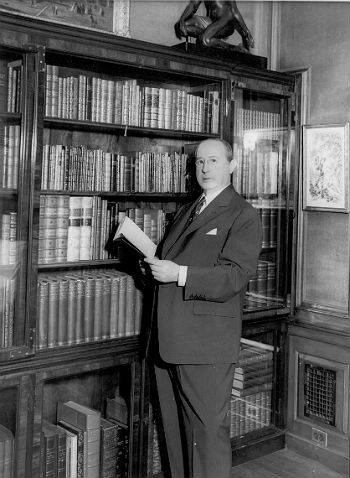 He purchased the manuscript at the auction of lawyer John Quinn’s collection in 1924. (Quinn had defended Joyce and his publishers against obscenity charges under the Comstock laws in 1920.) 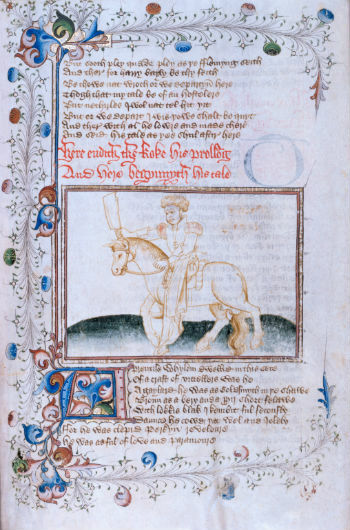 Selections from the manuscript are always on display. 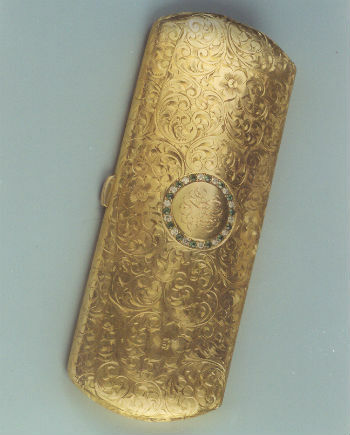 Objects in this category include walking sticks, snuff boxes, decorative stone bottles and cases, eyeglass and card cases, bookmarks, thimbles and sewing kits, small plaques in various media, as well as jewelry dating from antiquity to the 20th century. Within this group the objects tend to be functional yet highly decorative and represent a wide range of media, including precious metals, precious and semiprecious stones, wood, glass, enamel, and ceramics. Many are associated with notable people or families, including the ancient Babylonian king, Nebuchadnezzar, and the Bonaparte family. This category also contains many personal objects belonging to the Rosenbach family as well as those collected by Philip Rosenbach; this category is also highly represented within the Marianne Moore collection. Dr. A.S.W. Rosenbach formed a highly important collection of early American Judaica. He gave the bulk of this collection to the American Jewish Historical Society (AJHS) in 1931. Nonetheless, signiﬁcant Judaica remain at the Rosenbach, including several Hebrew incunabula, the Amsterdam Haggadah of 1695 (the ﬁrst with a map of the Exodus), and the ﬁrst Hebrew grammar printed in the United States (1731). Correspondence in the Rosenbachiana collection documents family members’ participation in organizations ranging from Philadelphia’s Congregation Mikveh Israel to the AJHS and the American Friends of the Hebrew University. Objects in these categories are notable for their physical features in addition to their intellectual content. Maps in the collection indicate not only what was known about the world from the 16th through the 19th centuries, but what different users needed to know, presented in formats suited to their varying circumstances. About two dozen codex manuscripts, many of them illuminated, represent the arts of the book in Europe before printing, and nearly 100 incunabula are among the earliest examples of European movable-type printing. Other books, such as a complete set of Kelmscott Press titles, were collected as beautiful specimens of the book arts. Beyond their aesthetic qualities, bindings, illuminations, illustrations, and typography can also reveal the ways in which books were made and used, providing insight into topics like trade practices and education in the societies from which they came. In partnership with the Marianne Moore Digital Archive at the University at Buffalo, select Marianne Moore notebooks from our collection have been digitized. A group of Moore scholars is using the digital images to transcribe the contents, which include notes on the vast array of reading, lectures, conversations, and other sources from which Moore drew inspiration for her poems; as well as drafts of some of the poems themselves. 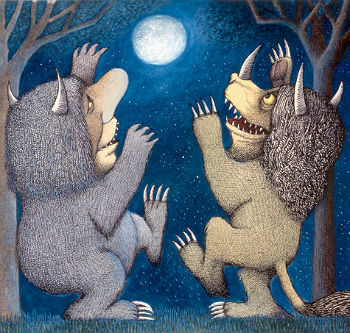 From 1968-2014 the Rosenbach was the repository for the picture book illustrations of artist and author Maurice Sendak (1928-2012). After his initial visit here in 1966—and thanks to a kinship the artist felt with the rare books and artwork collected by the Rosenbach brothers—Sendak began to leave his artwork for such books as Where the Wild Things Are (1963), In the Night Kitchen (1970), and Outside Over There (1981) on deposit at the Rosenbach where they were regularly exhibited to the public and accessible to researchers. The deposit comprised more than 10,000 pieces of original artwork, as well as manuscripts, dummy books, correspondence, printer’s proofs and other working materials, plus ﬁrst editions of Sendak’s books. In 2014 the Rosenbach returned the collection to Mr. Sendak’s estate and Foundation, the legal owners of the deposit. All requests for loans of original artwork and permission to publish Sendak images should be referred to the Sendak estate via its agent, Andrew Wylie of The Wylie Agency. Full contact information can be found on the WATCH database (Writers, Artists, and Their Copyright Holders). Maurice Sendak was an avid book collector as well as creator. In 2016, the Rosenbach received a bequest of more than 600 rare books from Maurice Sendak's personal library. These books, which include first edition works by important American authors such as Herman Melville and Henry James as well as remarkable examples of illustrated children's books by Lothar Meggendorfer and Beatrix Potter, are now part of the Rosenbach's permanent collection. These media are most often represented by domestic objects, many of them Rosenbach family belongings, but some collected for use, resale, or display by the brothers. Ceramics range from the 16th to the 20th century and were produced in England, France, China, and Italy. 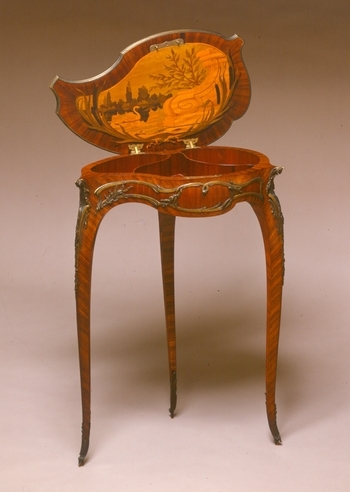 Famous makers include Derby, Wedgwood, and Sèvres. Two centuries of crystal manufacture include chandeliers and tableware from Britain and the Continent. Work in metal consists of Samuel Yellin ironwork, and silver ﬂatware and hollowware dating from the 17th to the 20th century by Myer Myers, Paul Storr, Hester Bateman, Tiffany Co., as well as a range of 19th-century Philadelphia manufacturers and earlier silversmiths from Russia, Ireland, Holland, England, Italy, and France. Philip Rosenbach purchased a collection of 450 portrait miniatures from English painter Talbot Hughes in 1928. The largest collection of oil on copper miniatures in the United States, it includes portraits painted by English, Dutch, Spanish, Italian, and French artists. 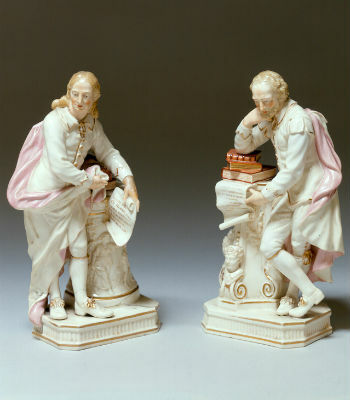 In addition to the Hughes collection, the Rosenbach maintains a ﬁne selection of American, English, and Continental miniatures in other media: watercolor on vellum, watercolor on ivory, enamel, and wax, as well as one miniaturist’s paintbox and another’s diary and account book. 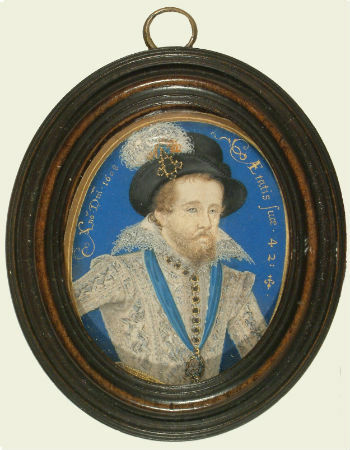 The portraits date from the 16th to the 19th century. Although many retain their original frames, a large number have been reframed, probably by an earlier collector, to standardize their appearance. Philip Rosenbach displayed the miniatures grouped in a series of tortoise-shell frames.